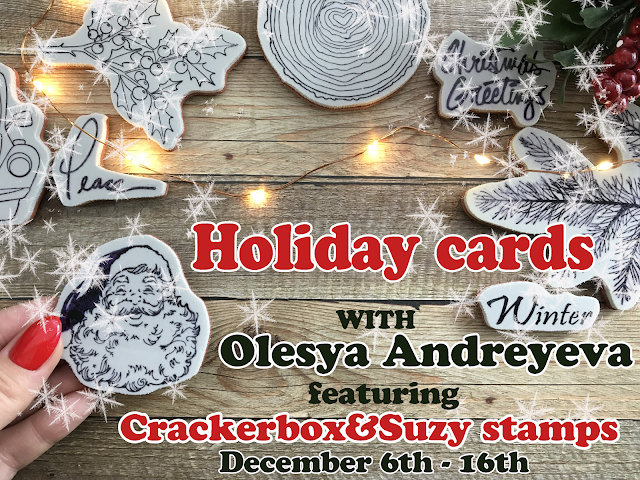 Olesya Andreyeva's here and I'm happy to announce my Holiday card series using Crackerbox&Suzy stamps. This will be a series of 10 cards every single day till Dec 16th starting now. 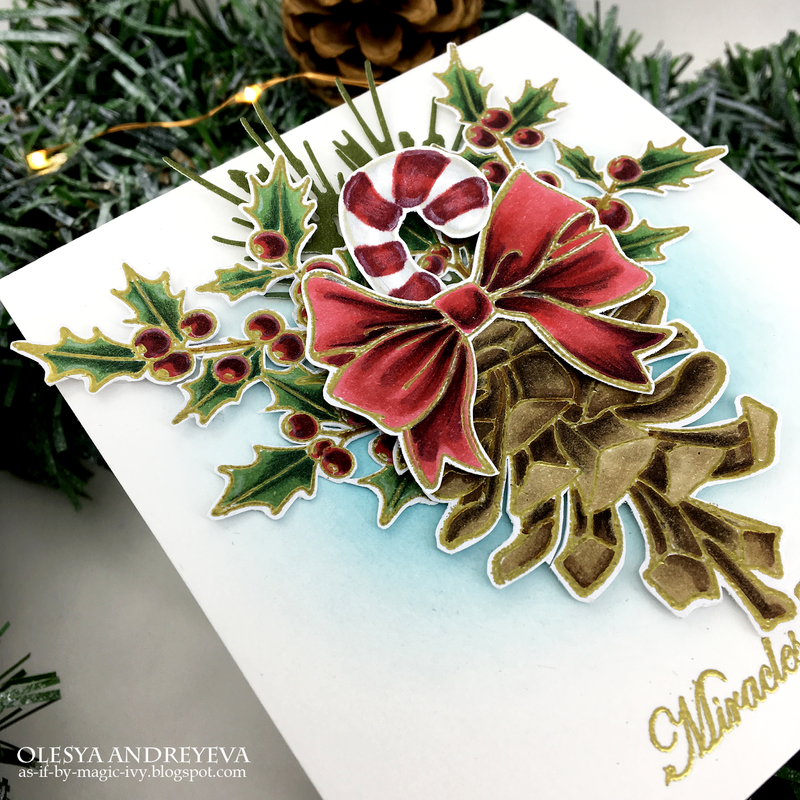 Hope you will like it and get inspired! Brush a bit of Broken China DO ink onto a card base using Clarity Brushes. Heat emboss all the images in gold, color with Chameleon pens or any medium you like. 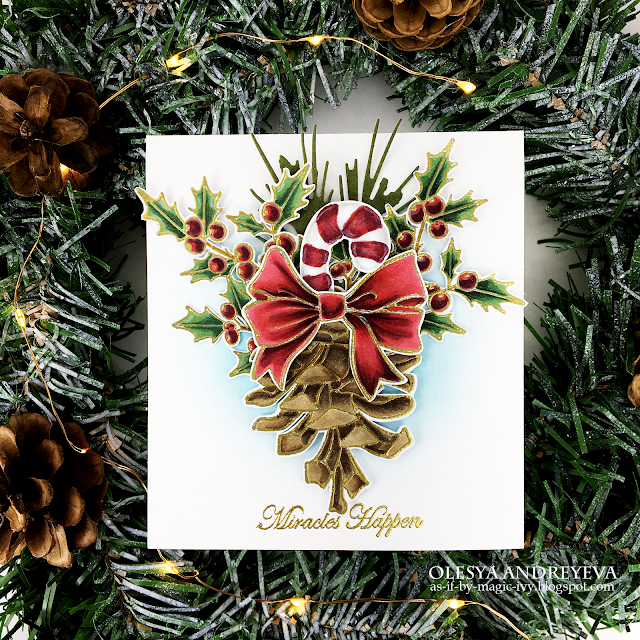 Made a cluster with all the cut-out images + die cut pine branch.